Basingstoke Voluntary Action (BVA) provides a variety of support in order to help local groups and charities to flourish. “A strong, vibrant, creative and diverse voluntary and community sector meeting the needs of Basingstoke and Deane’s local communities that choose Basingstoke Voluntary Action as its main provider of development services”. Maximising BVA effectiveness, efficiency and quality of service. 2016/2017 was a busy year for Basingstoke Voluntary Action. BVA has continued to work with our members helping them to run their organisations, whether they are lead and run entirely by volunteers or paid staff, and helping them to recruit and manage volunteers. We have also provided community based services addressing local needs, such as our work with young carers and their families, and through the Camrose Centre, which is dedicated to improving quality of life for homeless and vulnerably housed people. We are proud that we have helped secure significant income into BVA or organisations we work with, including the Big Lottery and Hampshire County Council funding for young carers services across Hampshire. This annual report describes this work in more detail. We also continue to act as the ‘landlord’ for the Orchard building and provide much needed affordable office and meeting space for local groups and the community – the offices have been fully occupied with over twenty different organisations working in the building. I am very grateful to both Basingstoke and Deane Borough Council (BDBC) and Hampshire County Council (HCC), the Mayor of Basingstoke, individual councillors and officers for their advice and continuing financial support notwithstanding their own increasing financial constraints. 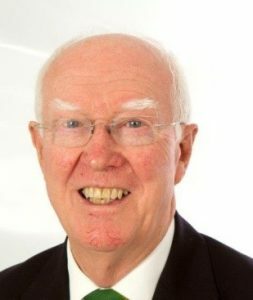 Our Chief Executive Stephen Morgan resigned in June 2017 when elected to Parliament, and trustees recruited an Interim Chief Executive while they conclude BVA’s strategy and organisational review and plan for the future. BVA was established in 1965, is well rooted in the local community and we are proud of its accomplishments promoting voluntary activity throughout the Borough. I would like to thank our staff for their hard work, the many volunteers who help BVA and our members so greatly, and my fellow trustees for their work during this year. The BVA Group Development team had another busy year in 2016/17 supported by some extremely valued volunteers delivering information, support and guidance to local charities and community organisations. BVA’s current membership is 412 member organisations (including 54 health & sport, 17 environmental, 39 children & youth): 489 signposted organisations and 105 non-voluntary sector organisations. The team has a completely redesigned database, which continues to improve the quality of interactions with members and signposted organisations. Access to organisational information on the database will soon be active, allowing members to maintain their contact, service and event information. This information will be publicised via the new look BVA website and is accessible to the wider community and shared with relevant partner organisations. The new database better enables key performance reporting and recording relevant contacts with organisations, which in turn assists with the focussing of targets, priorities and topics of interest. Our improved website: www.bvaction.org.uk continues to be informative and popular with access to member details and detailed information to support groups on Governance & Leadership, Finance & Funding, Policies & Procedures, Staff & Volunteers and day-to-day running of your organisation. There is also a maintained database of the latest grants available including featured grants, and other funding sources such as no cost donations and crowdfunding options. Additionally, there is information about our core group development and volunteering work and BVA’s projects – The Orchard Building, Young Carers, and The Camrose Centre. BVA’s website also provides links to the latest newsletter and recent Facebook posts as well as regular news updates, which continue to build our engagement with the community. Our bi-monthly Voluntary Sector Forum centres round different themes of current relevance to the sector, and enables local groups and charities to be involved in shaping the priorities of Basingstoke and Deane. We have also worked hard to improve our communication channels and support to the Borough’s wide array of partnerships. During 2016-2017 BVA developed its work on Social Inclusion through the BDBC Social Inclusion Partnership, including a successful first crowdfunding campaign via SpaceHive, which raised significant funds for work locally with homeless clients. BVA was also actively involved in other partnerships such as the Health and Well Being Alliance, promoting the work of voluntary organisations around the HCC and BDBC Health and Wellbeing Strategy, HCC’s Connect to Support, and the Sports & Physical Activity Alliance. Additionally, we are working with our colleagues at Action Hampshire and our “Northern Cluster” neighbours at Hart Voluntary Action and Rushmoor Voluntary Services for the benefit of our communities through smarter joint working together. Team members continue to support the community of Basingstoke with a wide range of queries, activities, events, visits and partnerships. Training sessions were delivered including ‘Trigger Tool’, to identify needs of older and vulnerable members of the community, finance and grant funding plus Group Quality Accreditation in addition to occasional ‘on request’ sessions from organisations. BVA will play a more active role in the co-ordination and delivery of subsidised local community training over the coming months taking on the BDBC training programme. We have been involved in supporting a wide range of organisations over the past year assisting with 80 grant applications totalling over £231,765 and the successful grant funding receipts of over £174,500. Much more was actually received by organisations but it is difficult to quantify when organisations do not always confirm funding as a result of BVA signposting to funds. Our new system should assist with capture of this information moving forward. Basingstoke Voluntary Action became involved with supporting the 2016/17 Mayor’s Charity Appeal in May 2016, working alongside the Mayor Councillor Jane Frankum. Together the opportunity to raise money for the Mayor’s Charity has been promoted and participation encouraged via a variety of sources and eventually raised over £11,000 for allocation to 19 Basingstoke Charities and Community Groups. Groups supported during 2016/17 were – Basingstoke Counselling Service (Counselling for those on limited income), Basingstoke Mencap (Performing Arts Project), Basingstoke NCT (Chairs, equipment and Info leaflets), Basingstoke Shed (Jigsaw & Spindle Sander), BVA Volunteer Centre (Laptop), Disability Forum (Disability awareness), Fluid Motion (All in the Mind Festival), Forever Young (Members trip and other activities), Inspero (Cooking Equipment & School Packs), Jubiloaks (Woodland build planting), Melrose Community Association (Community Chairs), Muffins Dream (Events at Active Life Centre), NH Medical Fund (Training Defibrillator), YPI Counselling (Youth Training Programme), Shopmobility (Mobility Scooter), St Johns School PTA (Bike Shelter), Tune for Life (Musical remediation), Viables Community Association (IT Equipment for Centre) & Winklebury Schools Association (Community Defibrillator). The second year of support for this year’s Community Chest, with Mayor Councillor Paul Frankum has been underway since May 2017 with local businesses, community groups and individuals encouraged to organise fundraising events or simply make donations. The first round of applications were awarded in July 2017 and it is hoped even more will be raised this year with the support of the community, enabling more organisations to benefit. 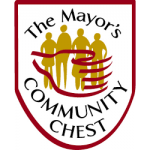 Details of the Mayor’s Community Chest funding are available on both the BVA and Basingstoke and Deane Borough Council websites. This partnership between BVA and the Mayor’s Charity has jointly facilitated better promotion of both, and enabled our Group Development team to improve its links with our member organisations and understand even more about their local activities and funding requirements. The grants panel is comprised of the Mayor and independent members including Sainsbury’s, Asda & Tesco Community Champions and Basingstoke Deane Rotary; meeting three times each year. Every recipient organisation has been extremely grateful for the funding provided. 2016/17 has been an eventful year for BVA’s Volunteer Centre. We have worked with Hart and Rushmoor Volunteer Centres to develop a brand new database and website to replace the old way of working. 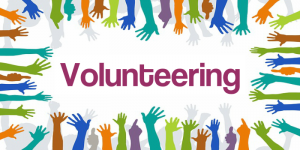 The new website www.volunteernorthhants.org requires more relevant information from the public and we can therefore consider their interest more effectively before passing their enquiry to a voluntary organisation(s). We are also more able to engage with volunteer enquirers, and can offer them a personal service, helping them find the most suitable role. Feedback on the website has been most appreciative and positive. With the change to a new website, we anticipated the number of public enquiries would decrease as people would take time to find the new site, so we set a new annual target of 600 enquiries and achieved 646. However, what is more important is whether those enquiries were converted into volunteer placements with organisations; we found in the second half of the year a more than 60 % increase in the numbers of known placements compared to the first half! We hope to see an increase in enquiries next year as the website becomes better known and look forward to a relative increase in the numbers of placements of volunteers with community organisations. We continue to see people face to face and are available over phone and email to help people find volunteer roles, in particular those looking to add experience and skills to their CV, those without IT confidence, those who need help in focussing on their own abilities and how they can help, and people with support needs of any kind. Our annual Meet and Match networking event was very successful, resulting in new relationships between Businesses and Community Organisations and the donation of equipment, time and skills to a number of groups, including computers for the Young Carers, renovation work for Dove House School, gardening with Inspero and inspiring speakers for a local youth group. We were also delighted to congratulate the commitment and efforts of 30 volunteers nominated by local community organisations at our annual Celebration of Volunteering event, attended by the Mayor of Basingstoke and Deane and sponsored by Sainsbury’s. We thank them for their support to honour the fantastic work of volunteers and organisations within Basingstoke and Deane. BYC is a BVA project providing practical and emotional support to young carers and their families and ensuring those young carers enjoy and achieve just like their peers. BYC is part of the HYCA partnership developed by BVA of 10 Young Carers organisations across Hampshire, whose work is funded by a Big Lottery grant and HCC Children’s Services Integrated Grant funding, as well as many generous community donations. BYC’s staff team, supported by many volunteers, have supported 196 young carers in 2016-2017 and 85 young people joined last year. 170 young carers received respite either in schools or from the weekly youth clubs, residential and day activities aimed at giving young carers relief and a chance to be young. BYC has also supported 40 families to access better support and benefits in order to minimise the role of the young carer within the family. BYC also worked with schools to establish and deliver Young Carers support to 56 young carers in school. In total 110 young carers increased their wellbeing through our support. In May 2016, BYC became De La Rue’s Charity of the Year and they raised nearly £8000 for our cause. They have helped with transport for the young carers attending the annual Hawk Conservancy Dream Night Trip, fundraising throughout the year with different events. In the summer holidays, Hampshire Culture Trust and History Bombs worked with our young people in 2 projects, Capability Brown and “The Rise and Fall of Basing House”. The young carers attended The Willis Museum to create pots and tiles exhibited at The Willis Museum and Basing House. HCT & History Bombs created a commemorative DVD and 15 young carers were awarded their Bronze Arts Award. We held our gala evening October at the Hampshire Court Hotel, when over 160 young carers and their families joined our trustees and distinguished guests. Hampshire Court Hotel kindly donated their facilities and they have made this an annual event for our project. BYC has established a Coffee Morning once a week for parents to attend and talk to staff and our full time volunteer Derek Newland for support and guidance. Through the success of this some of our parents have now created their own group – Young Carers Parent Support Group – and have now hold two coffee mornings on alternate weeks for parents to come together to support one other. Through this support, they have created a Family Support Group on Facebook, where families can contact each other for support. Another year and another great success. Bramley Youth Club is more alive and vibrant than ever. Bramley Youth Club (BYC) is located in the centre of Bramley at Clift Meadow. The club runs every Thursday throughout the year, providing a much needed fun filled safe zone, trusted by both young people and their families. This past year has seen a vast array of activities stemming from specific garden projects, cake decorating and canvas art activities to popular sports such as football, tennis and dodgeball. We also headed outside to participate in ultimate water fights; massive games of capture the flag and of course everyone’s favourite event of the year, the Summer Party. This would not have been achieved without the support of Bramley Parish Council who not only contributed another year of funding for this project, but also donated a further donation towards the youth club to purchase new equipment, resources and the development of a new cupboard design. We are extremely thankful for all donations from our supporters and look forward to another awesome year with BYC. BVA has supported the first year of the Hampshire Young Carers Alliance of ten different voluntary young carers services across Hampshire working together to help and support young carers and their families. 2016-2017 saw over 380 new referrals to these services; greater engagement of schools with young carers through the work done by schools workers, and the creation of a Young Carers Action Group helping the shape services. Our thanks to the Big Lottery Fund and to Hampshire County Council and to other donors who have supported this work. The Camrose Centre works with clients who are homeless, vulnerably housed or socially isolated every Tuesday and Thursday in Glebe Hall, St Michaels Church, Basingstoke. The Centre provides a continuous self-service breakfast and a hot lunch, as well as supporting clients with practical help and advice. In addition to a grant from BDBC and business and community donations, Camrose received funds in 2016-2017 through the Real Change community crowdfunding project, administered by BVA in partnership with BDBC and other organisations through Social Inclusion Partnership. This has helped to fund Camrose’s a ‘third day of opening’ pilot project from July. Whilst we continue to support our vulnerably housed clients on our usual session days, we are able to offer individuals who are sleeping rough the opportunity to have more one-to-one support with staff, ensuring understanding of each individual’s support needs. Camrose is also able to offer self-esteem and motivational assistance through a fully qualified counsellor, as well as individual appointments for any client referred to our counsellor in a private space on the third day. These donations have also enabled Camrose to convert the disabled toilet at the venue into a disabled wet room enabling our rough sleeping clients to have a proper shower, and through our existing clothes bank, put on clean clothes helping to make them feel clean and tidy – vital to well-being and dignity. Camrose are also incredibly grateful to AWE for their generous donation of £5000, and the support of Basingstoke Oakley Masonic Lodge who have selected BVA Camrose as their charity of the year and continue to raise funds through events and donations. In March our volunteer Mike Browning’s sons Andrew and Tom abseiled down Portsmouth’s Spinnaker tower raising further much needed funds for the centre. “Since my first meeting with Camrose staff earlier this year when I introduced myself as sleeping on the streets, I have continued to use the Centre each week. Clare, Louise and the incredible volunteers have always been so welcoming and nothing has ever been too much trouble. Although I am now staying in a Hostel, and will shortly be moving into my own accommodation the team still make me feel welcome and continue to offer their guidance and support. Overall, my mental health has improved dramatically, so much so I am due to start employment very soon, I can hand-on-my-heart suggest that this light at the end of the tunnel wouldn’t have been very clear without the support of this valuable Centre. Thank you, so much, for everything. Eternally grateful”. During Christmas 2016, BVA conducted our Foodbox appeal, distributing in excess of 500 individual boxes of food to those in our community who need it most. We could not have done this without the support of individuals, groups, schools and local businesses, and Basingstoke Irish Centre who provided space for donations and packaging.